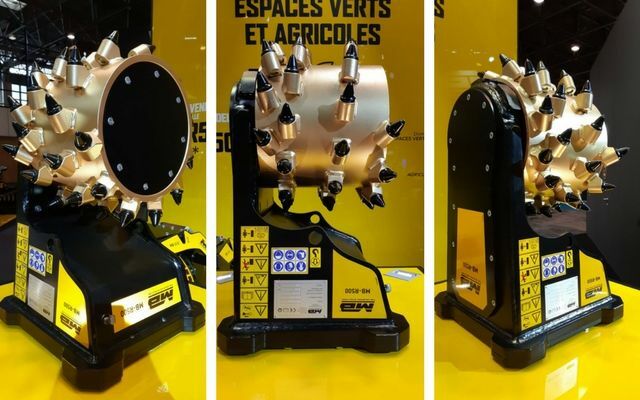 MB-R500, The all-round Drum Cutter - MB S.p.A. 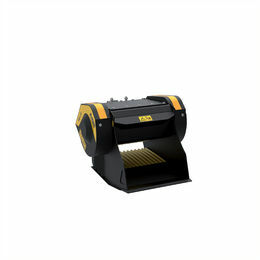 The new MB-R500 is the smallest drum cutter of the MB Crusher line. It weighs only 661 lbs and can be installed on mini and midi excavators from 7,700 lbs to 24,200 lbs and on skid steer loaders and backhoe loaders from 7,700 lbs. Its powerful cutter has a diameter of 20 in and grinds with extreme precision. Its drum can be replaced on site in less than an hour, without the need to take the unit to a specialized workshop. It is easy to use and makes work on different sites more practical.